Food/Feeding: Photosynthetic, does best when fed phytoplankton as well. Notes: The Plume Gorgonian is common among the reefs of the Caribbean and grows in a vertical, tree-like fashion. 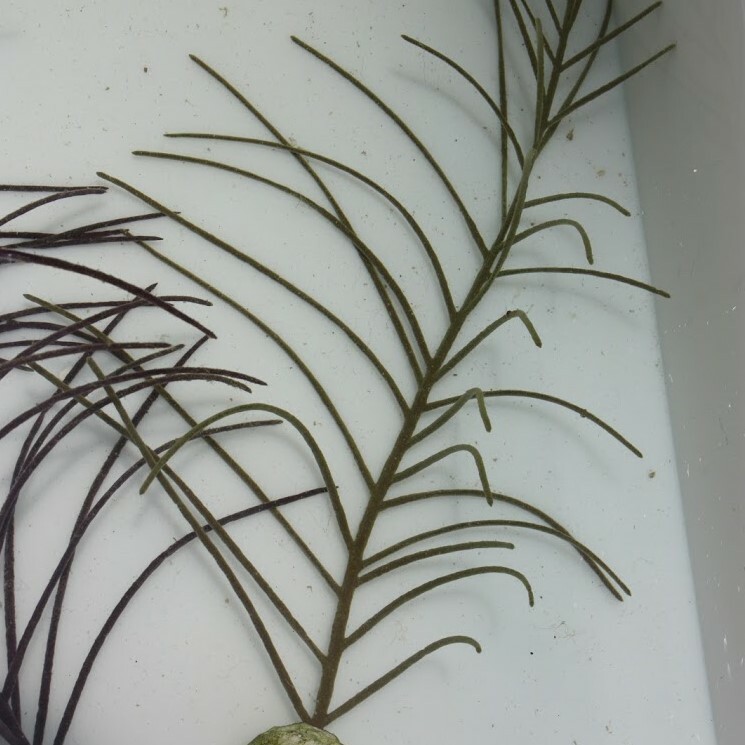 The branches are purple in appearance and have a bumpy texture when the polyps are not expanded. The polyps of this gorgonian are tan in color, and are often expanded during the daytime. This gorgonian is hardier than many of its counterparts and will add to your reef aquarium's diversity. The Plume Gorgonian is peaceful, but it should be given adequate space away from neighboring corals and anemones. Underwater epoxy is commonly used to anchor its base to a piece of live rock in the reef aquarium. This gorgonian is photosynthetic and requires a moderate amount of light, but also should be offered zooplankton and other foods designed for filter feeding invertebrates. It also requires a stronger water flow and the addition of iodine, calcium, strontium, and other trace elements to the water. In order to inhibit algae and cyanobacteria growth, it is important that this gorgonian is provided with strong, constant or intermittent water flow. If in the event that it does begin to become covered with algae or cyanobacteria, remove it from the coral immediately, as this will cause rapid tissue deterioration. Algae can be removed gently with the use of a soft brush; combat cyanobacteria by soaking the coral in freshwater of the same temperature and pH for approximately 1 minute.